Successfully Added GSM Car Alarm System - Wireless Car Alarm to your Shopping Cart. 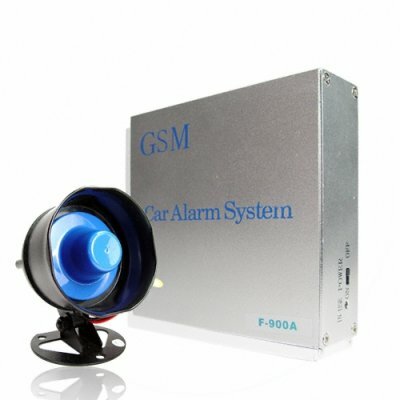 Car alarm system taking advantage of the GSM cellphone network to tackle car security at a fraction of the cost of standard wired car alarming systems. With this car alarm device, you can use either your phone or one of 2 provided transmitters to wireless control such powerful anti-theft protections as gas and power cut off, GSM location of your cars position, audio monitoring, silent emergency calling of emergency numbers, and more. All that is needed is a GSM SIM card for the alarm system and your car will be afforded professional protection, and car owners will appreciate the peace of mind of knowing that their investment will keep them and their property safe. Will this product work in the uk and is it thatcham registered? This product will work in the UK as the two GSM bands the device is designed for (900/1800 MHz) are available in the UK. The device is not Thatcham registered.